John F. Kennedy High School’s annual Poetry Out Loud competition for 2017-2018 between all grade levels took place in the auditorium during the morning classes on Wednesday, December 20, 2017. There, students’ English classes were invited to enjoy the performance of poetry by fellow students and cheer them on as they competed for a chance to represent the school. Many captivating and passionate recitals were given on stage by the students, making it difficult to predict who would catch the new judges’ attention and win the school wide competition. First place was captured by senior Jessica Nunez who performed “Abecedarian Requiring Further Examination of Anglikan Seraphym Subjugation of a Wild Indian Rezervation” by Natalie Diaz. Close behind, second and third place winners were senior Aldo Rominger with “Beautiful Wreckage” by W.D. Ehrhart and freshman Emma Williams reciting “Lions” by Sandra McPherson, respectively. 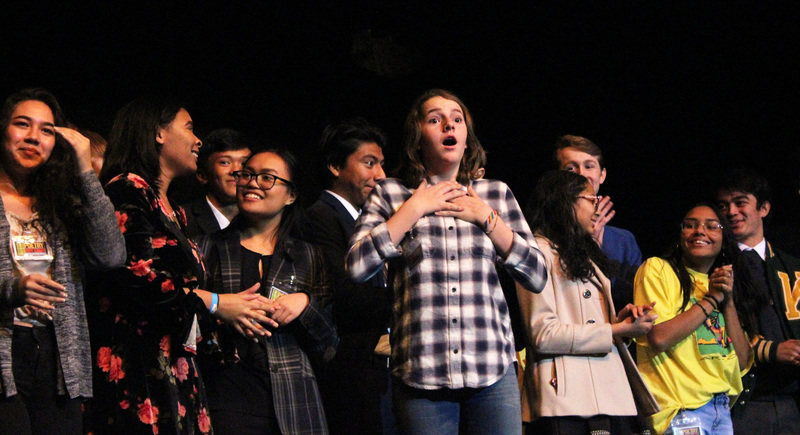 Nunez, before results were announced, spoke on how she designed her recitation saying, “[I researched] the poem and [thought] about how she would want her poem to be heard.” The approach might account for how the senior won first place in this year’s competition. This year’s Poetry Out Loud competition featured 41 participants, some more experienced than others, but all determined to do their best. Students who performed at the event were specially selected by their English teachers from their in class recitals. Students were to choose any poem from the selection on the official Poetry Out Loud website, where they would memorize and analyze the poem. “We were going through poems in Ms. Reynaga’s class and I found this one that caught my attention because it was basically admitting to murder in the first line… so I decided to use it,” Aldo explained. Each year, different poems are added to the POL database, so there is always a new variety to choose and learn from. Between performances, junior Grant Wills and senior Danke Stroup, the event MCs, told a variety of jokes to pass the time that judges needed to record scores and give announcements as needed. 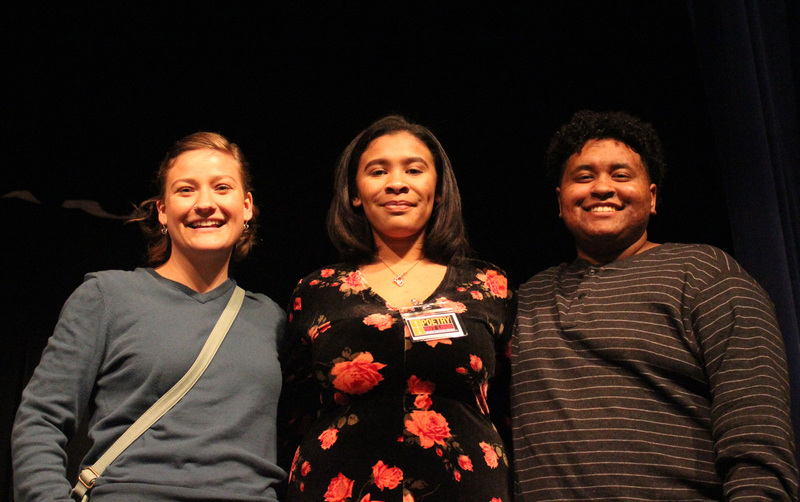 This year, Kennedy alumni and previous POL winners, Jibril Kyser, Ramona Sovereign, and Jonathan Oliver, were welcomed back as judges and sat front row to score each performer. As in previous years, Dalino Campos assumed position as prompter and accuracy scorer, in addition to the three judges. David Phanthai organized and gave directions to make sure everything ran smoothly. Perhaps this will be the year John F. Kennedy goes to nationals and takes home the trophy. For now, the next step for Nunez will be the Sacramento County match against other schools in the area, where she will represent Kennedy and hopefully reach higher levels of competition. The top 5 performances have been uploaded to the Kennedy Clarion’s new YouTube Channel.